The global mining sector has been going through a protracted correction that has seen all commodities fall from grace since 2011/12. Australia’s staple commodity, iron ore, has fallen from around $200 per tonne in 2011 to below $50 today. Other resources such as gold, nickel, copper, oil and gas have all seen extensive declines on the back of slowing demand for commodities, especially in China. 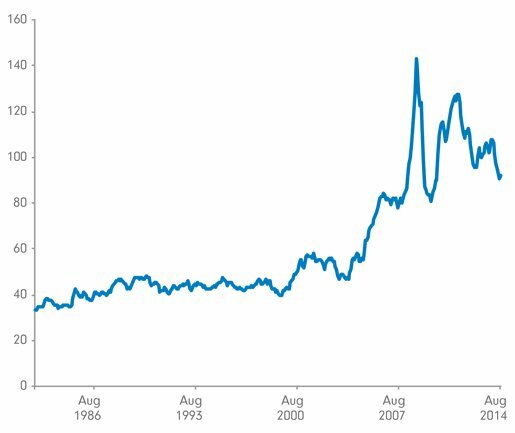 From a longer-term perspective with regards to Australia, the commodity price environment has been bleak in recent years, despite a visible, long-term improvement in commodity prices over the past three decades. 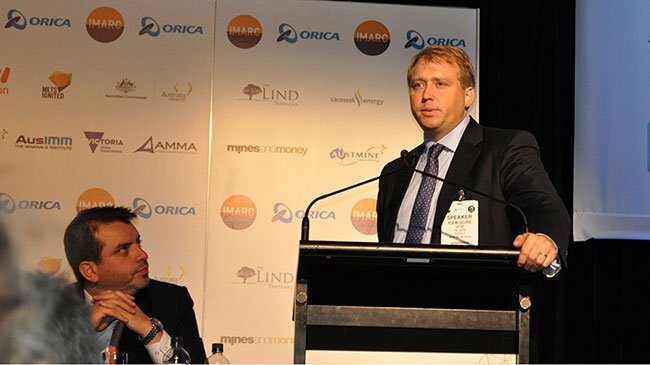 Addressing these global trends, and how resource companies can best adjust to the changing conditions, is the annual International Mining and Resources Conference (IMARC) conference, hosted in Melbourne, Australia. Now in its second year, and running over the course of three days at the Melbourne Exhibition Centre, the conference brings together mining leaders, policy makers, financiers, technical experts, innovators and educators from all corners of the globe. The IMARC conference joins a global ‘grand slam’ of word mining events which already includes PDAC in Canada, Expomin in Chile, Mining Indaba in South Africa and China Mining. Each keynote speaker identified insightful trends and opportunities that have occurred as a result of the cyclical downturn in the broad mining sector globally. The conference’s slogan is, “The only constant in mining is change”. A common point of agreement was that exploration and mining move in cycles which increases the pressure on junior companies in particular to ensure they are well funded, innovative and productive in their activities. According to Robert Milbourne, Partner at K&L Gates, “the ongoing price volatility in commodity markets has made it more difficult for juniors to fund future exploration”. Mr. Milbourne also sees the inherent cyclical nature of commodities as a further factor exacerbating current market dynamics, “Developing countries tend to overshoot on their policy response when foreign explorers enter the country and pursue exploration opportunities. It takes time for government policies to dial in to the correct balance between giving explorers too much operating freedom and not enough. It’s a constantly evolving process,” says Mr. Milbourne. Commodity price volatility is also having an effect on investors’ expectations too. “Investors are more interested in returns rather than long-term growth” according to Stephen Creese, Senior Fellow at the Melbourne University Law School. One significant trend that continues to plague both junior and in-production explorers is the varied approach to mining law between different countries, and even different states within a country. Australia currently has a different ‘mining code’ for each of its six states. The fragmented nature of mining law in Australia consequently means mining and resource companies have to consider spending on due diligence and compliance differently in each state. Where large mining companies are able to afford the additional expenditure and time delays, junior explorers are not so well positioned and therefore, are somewhat limited to what they are able to accomplish. Going forward, it’s important to “follow best-practice rather than reinvention” when it comes to completing mining projects which effectively means “closer collaboration between resource companies, governments and technical experts,” says Mr. Milbourne. 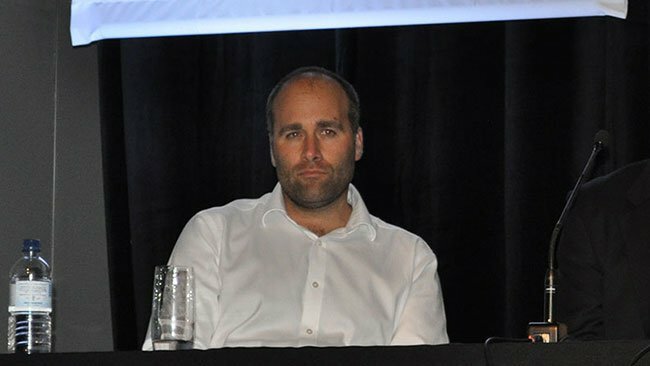 “We have a ludicrous situation right now whereby an Australian state called Queensland ranks lower than Botswana in global rankings and Chile ranks higher than any other Australian state,” Mr. Milbourne said referring to highly respected rankings published by the Fraser Institute, which take into account all aspects when ranking regions for best attractiveness, including law, entitlement rights, political stability, taxation etc. In Queensland, explorers and miners are now forced to agree to (and abide by) laws that haven’t been legislated yet – “that’s just ridiculous because it leaves mining projects at the whim and mercy of policy makers,” said Mr. Milbourne. Far from being a silver bullet for international trade and international mining harmonisation, the TTP could end up putting the brakes on a lot of exploration and mining projects when fully deployed in several years’ time. 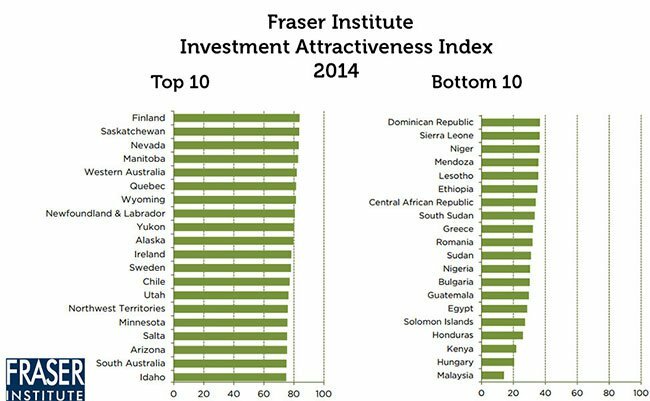 The Canada-based Fraser Institute publishes an annual report ranking various regions of the world for best exploration/mining prospectivity from an operational perspective. Its authors assess how mineral endowments and public policy factors such as taxation and regulation affect exploration investment. The report is considered an accurate barometer of operating conditions in the global mining sector. One of the authors, Mr. Kenneth Green presented at IMARC as the Senior Director of Natural Resource Studies at the Fraser Institute. Mr. Green said that if there was one outstanding factor that influences the ‘attractiveness’ of a region, it would be ‘stability’. “Political and economic stability within a country are key factors that underpin security, investment and the confidence to invest there,” said Mr. Greene. Another factor influencing the rankings is fragmented mining law which can sometimes hinder investment decisions. 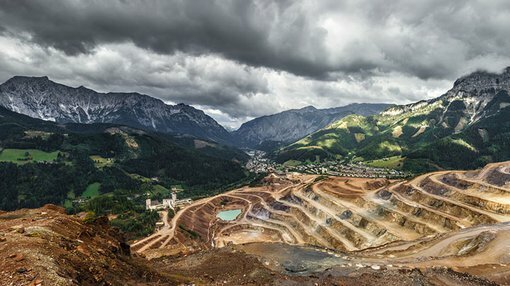 Could the global mining sector follow financial services in setting up a self-regulatory model that allows for different interests in various territories to operate under a broad set of guidelines, all with minimal government oversight and intervention? And what about a unified mining law that homogenises every country’s practices into one agreed framework? Any discussion of future trends is likely to involve a technical view. 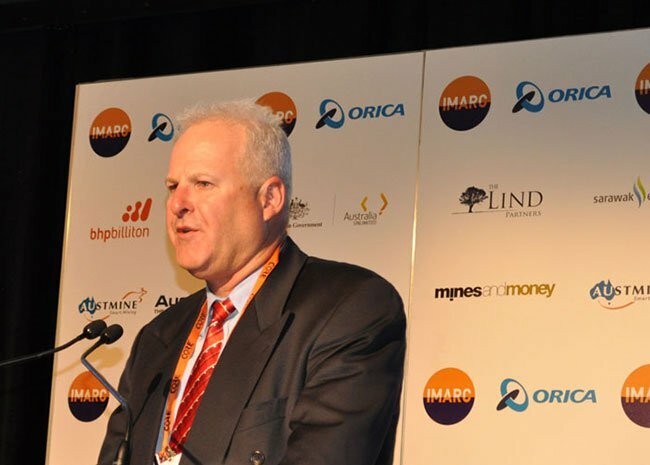 At IMARC, one of Australia’s most respected scientists explained his take. According to the CSIRO’s Principal Scientist Stefan Hajkowicz, there is one key megatrend which he refers to as the ‘Silk Highway’. The world economy is shifting from West to East. Economic growth in ‘developing’ countries averages around 6% while advanced economies struggle around 2-3% at best. In terms of macro geo-political trends, Brazil, Russia, India, China and South Africa are collectively on course to become the strongest GDP growth driver globally, accounting for over 50% of total global GDP by 2030. “Now, that is a megatrend”, says Mr. Hajkowicz. “We’re potentially well-positioned to take advantage of the new world economy. But we face some challenges too,” he says. “As China completes its rapid modernisation cycle, the need to build skyscrapers, roads, bridges and other infrastructure at the same pace as before is clearly not there. When asked what truly new futures the mining sector is likely to encounter, Mr. Hajkowicz sees the Internet of Things influencing an increasing amount of mining operations. “We’ve seen the amount of internet-ready devices grow from 6 billion in 2005 to around 20 billion today and on track to reach 200 billion in 2020. That’s an incredibly steep growth rate and it will affect mining in a huge way. Unmanned Aerial Vehicles (UAV’s), drones, automated processing, big data, cloud-based collaboration, information sharing and supply-chain integration/automation are already making an impact and will only strengthen their influence on mining operations,” says Mr. Hajkowicz. A weak global commodities sector and innovative, productivity-driving technology are big talking points. But what about new markets, are there any territories on the horizon for the astute countercyclical investor? According to Iran’s Dr Mehdi Karbasian, the recent easing of U.S-Iran relations following a cornerstone nuclear agreement, will usher in an easing of embargo conditions and means Iran could become a foreign investor hotbed in the coming years. 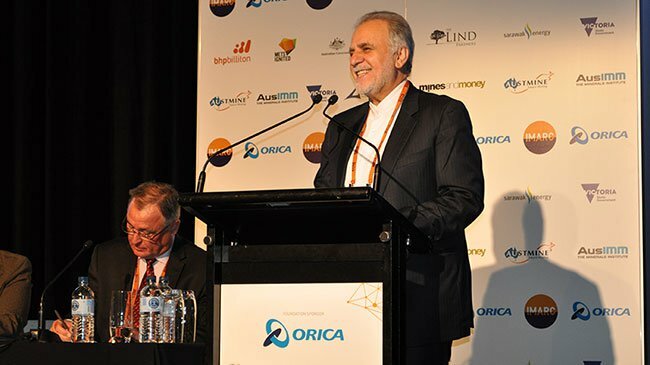 Dr. Karbasian is a senior executive at the Iranian Mines & Mining Industries Development & Renovation (IMIDRO), a major state-owned holding company acting as a conduit between foreign investors/creditors and the Iranian government. Iran is currently ranked number one in the world for natural gas reserves (18.3% of world total) and number four in oil reserves (9.3% of world total). In mining, Iran boasts 37 billion tonnes of mining resources including gold, iron ore, copper, lead, zinc, gypsum and gold. Most of Iran’s mines are open-pit and high grade including the SarCheshmeh copper project (1.2 billion tonnes with 0.7% Cu), Anguran Zinc project (35% grade), Mehdi Abad Zinc (160 million tonnes), Sangan Iron Ore project (1.2 billion tonnes) and GoleGohar (1 billion tonnes). With over 240,000km2 of exploration projects in the pipeline and the threat of global isolation easing, Iran is making a strong case to become one of the most active exploration areas in the next decade. In Asia, there are also virgin territories being actively explored and commercialised. 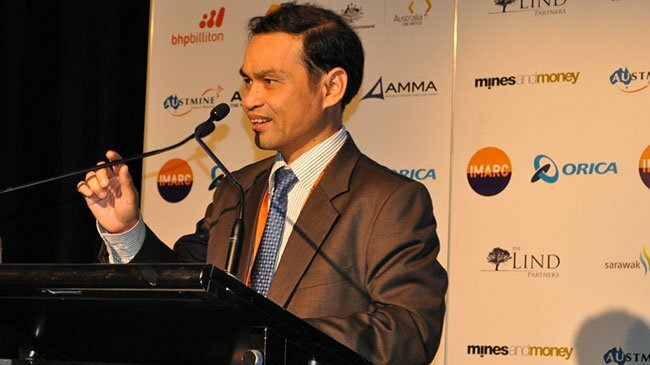 Cambodia’s Minister of Mines & Energy, Suy Sem led a Cambodian delegation on a mission to establish the country’s mining industry according to best practice and advice from foreign experts, many of whom were present at IMARC. At the present time, Cambodia does not have a commercial metals mine or an established mining law often taken for granted in Western territories. This is in the process of changing as Cambodia develops into ‘the next frontier’ according to Mr. Sem. Following decades of civil war and wide scale unrest, Cambodia has missed out on resource exports revenues as a result. Finfeed spoke to Mr. Heeks in late September regarding Cambodia and its potential. Mining and resource exploration are cyclical industries that go through ups and downs, highs and lows, peaks and troughs, just like any other market. But there are a few noteworthy trends currently in effect which could provide explorers, miners, investors and customers with good opportunities – both in the near-term despite commodity price weakness and the long-term on the back of technology, innovation and cyclical growth. One of the most common themes mentioned at IMARC is that today’s relative lack of activity will eventually lead to relative shortages and rising prices. This in turn will incentivise new exploration given that higher prices encourage more risk taking. Are there any factors explorers, miners and investors should be wary of? For a more aspirational future development, Mr. Milbourne sees mining on asteroids as a real possibility. The only constant in mining is change.